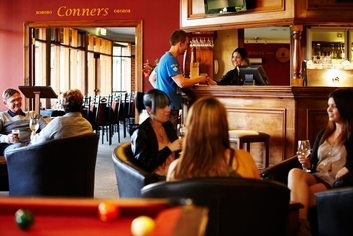 The award winning Clare Country Club is situated in one of Australia's premium wine regions. 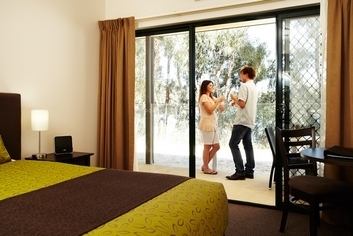 Less than 2 hours North of Adelaide, positioned in the tumbling Clare Valley hills, quietly away from the town centre, overlooking the lush green fairways of the Clare Golf Course and the tranquil Inchiquin Lake. Be refreshed with stunning resort views as you indulge in our spa, relax by the outdoor pool, enjoy a meal in the restaurant and bar. Our sauna, gymnasium, tennis court, billiards room and combined with golf provide a variety of leisure activities. 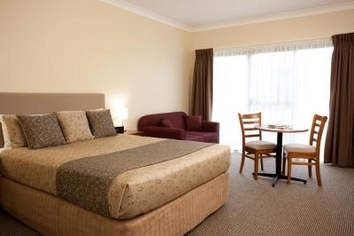 Every one of our 64 tastefully furnished executive rooms possess an ensuite spa, free Austar pay TV and mini bar. Family kitchenettes and glorious balcony outlooks are also available. 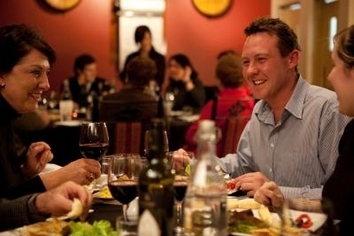 Our licensed restaurant boasts tantalising modern Australian cuisine, which, coupled with an exclusive Clare Valley wine list, is set to satisfy. Enjoy a glass of chilled wine on the balcony on a balmy Summer night, or a warming liqueur in front of a crackling open log fire during Winter. Local attraction entrance fees and winery tours can be arranged through reception. In room massages can be prearranged on request (subject to masseur availability). Picnic and BBQ packs can be arranged for use on an outing or at any one of the resorts BBQ areas. The Clare Valley offers over 35 boutique wineries, art galleries, antique stores and the Riesling Trail - perfect for cycling or walking with many scenic picnic areas nestled amongst rolling vineyards along the way. The 2 Bedroom Apartments offer contemporary self contained accommodation with lakeside views. 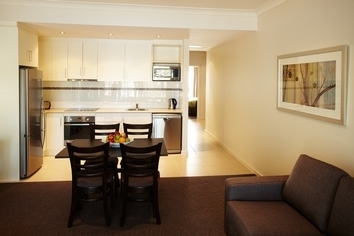 Spacious living area with TV, DVD, private terrace with BBQ, full kitchen and laundryfacilities. Two bedrooms each with King beds. 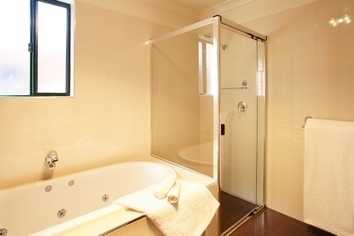 Large luxury Bathroom with separate shower & spa. Our Two-room Spa kitchenettes are a great family room which can sleep up to five people the master bedroom features queen bed, the living area contains a single bed and double fold out sofa bed. 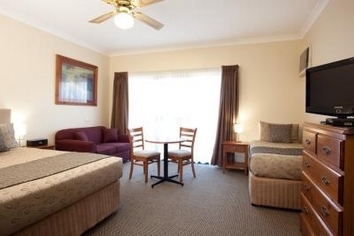 The room has basic kitchen facilities with a microwave, electric fry pan, toaster, kettle, crockery, cutlery etc. All rooms have ensuite with spa bath, a Flat screen TV with several Austar channels provided in each room, iPod docking stations, mini bar, Country Club resort bathrobes, tea & coffee making facilities, hairdryer, iron & ironing board, with all linen supplied. Our Two-room Spa Suite can sleep up to five people the master bedroom features queen bed, the living area contains a single bed and second queen bed. 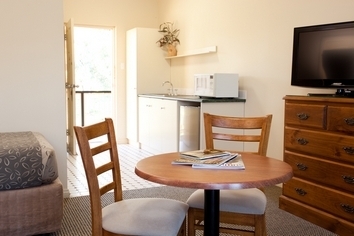 All rooms have ensuite with spa bath, a Flat screen TVs with several Austar channels provided in each room, iPod docking stations, mini bar, Country Club resort bathrobes, tea & coffee making facilities, hairdryer, iron & ironing board. 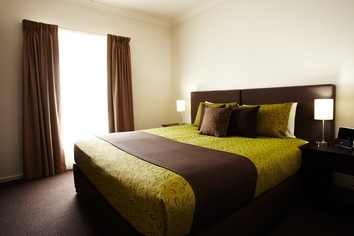 Our Standard Spa rooms offer queen bed, ensuite with spa bath, Flat screen TVs with several Austar channels provided, iPod docking stations, mini bar, Country Club resort bathrobes, tea & coffee making facilities, hairdryer, iron & ironing board. Views can vary due to location on the property. 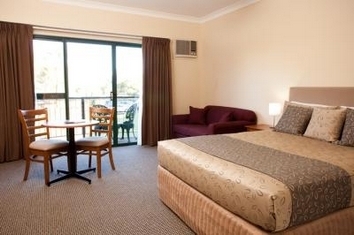 Some rooms also have a single bed OR sofa bed. Rate covers 2 guests twin or double share, maximum occupancy is 3. Please contact resort direct to confirm bedding requirement. Situated within the new apartment block with lakeside views our Studio Spa Rooms feature contemporary furnishings including a King bed and ensuite bathroom with spa bath. Studio rooms also feature microwave, mini bar fridge, iPod dock, TV, DVD and patio with outdoor setting. Award winning conference facilities, featuring a stand alone Convention Centre, coupled with our luxurious surroundings make business a pleasure every time. Leave conference, function or corporate event planning in our dedicated hands and we will ensure a unique and successful event that is second to none. Wireless internet access available. Check in is from 2.00 pm daily, if rooms are ready before hand we are happy to check guests in prior to this time. If you intend to arrive after 900pm please contact the reception and we can arrange key pick up. Each room has one designated off-street car park. 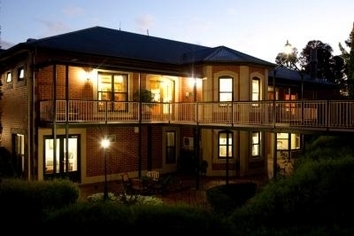 Located just 90 minutes from Adelaide, our beautifully appointed complex is positioned in the tumbling Clare Valley hills, quietly away from the town centre. Cycle or walk the Riesling Trail. 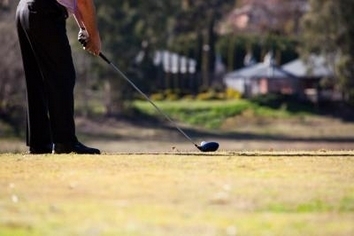 Challenge yourself on the picturesque all-green Clare Golf Course. Visit over 35 boutique wineries, regional produce outlets, art galleries, antique stores, heritage buildings and museums. All within 30 minutes of Clare.